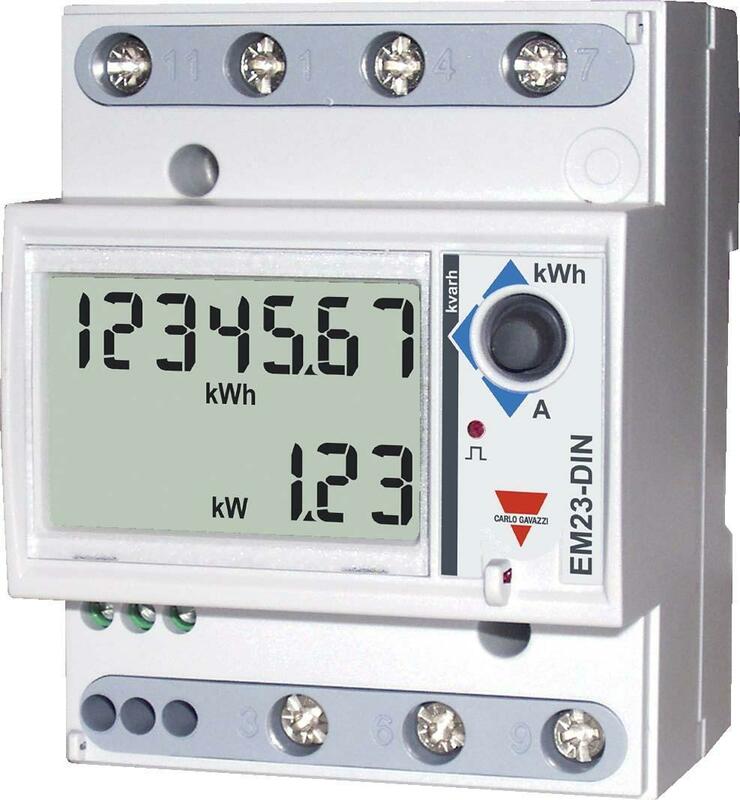 The Carlo Gavazzi - EM23-DIN.AV9.3.X.01.X is a very simple, compact, easy to install energy meter. 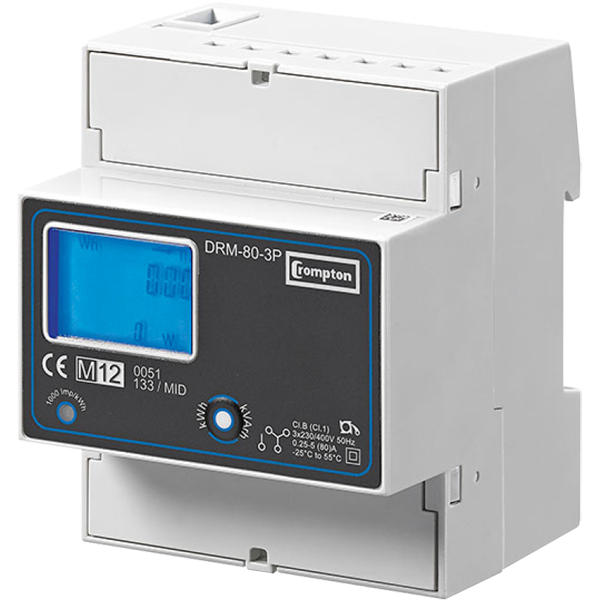 This unit is only 4 modules wide and mounts onto a DIN Rail. 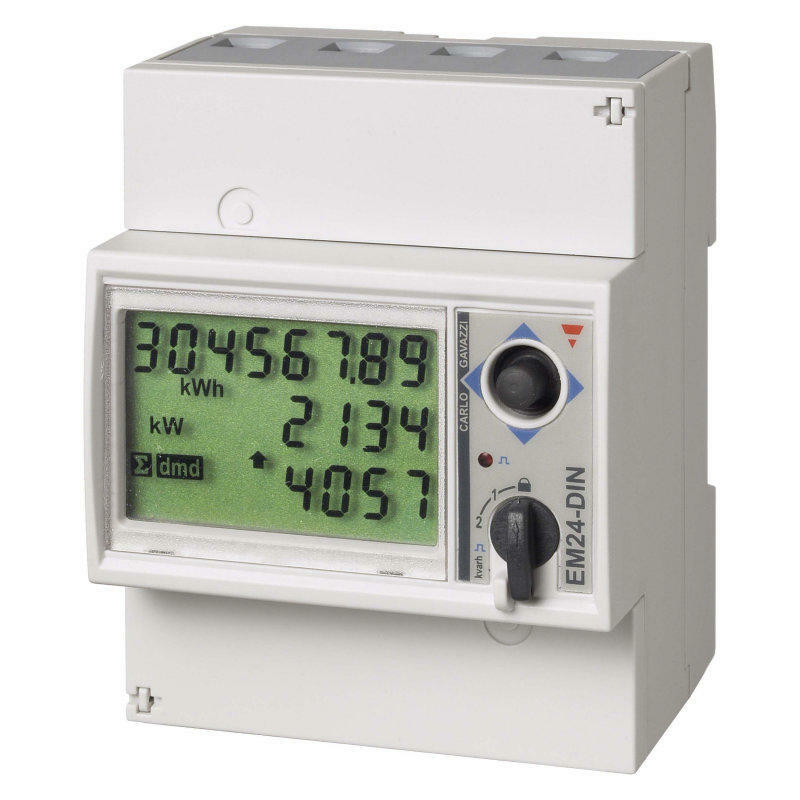 It has a neat joystick built into it for easy configuration and parameter selection, and an LCD display. 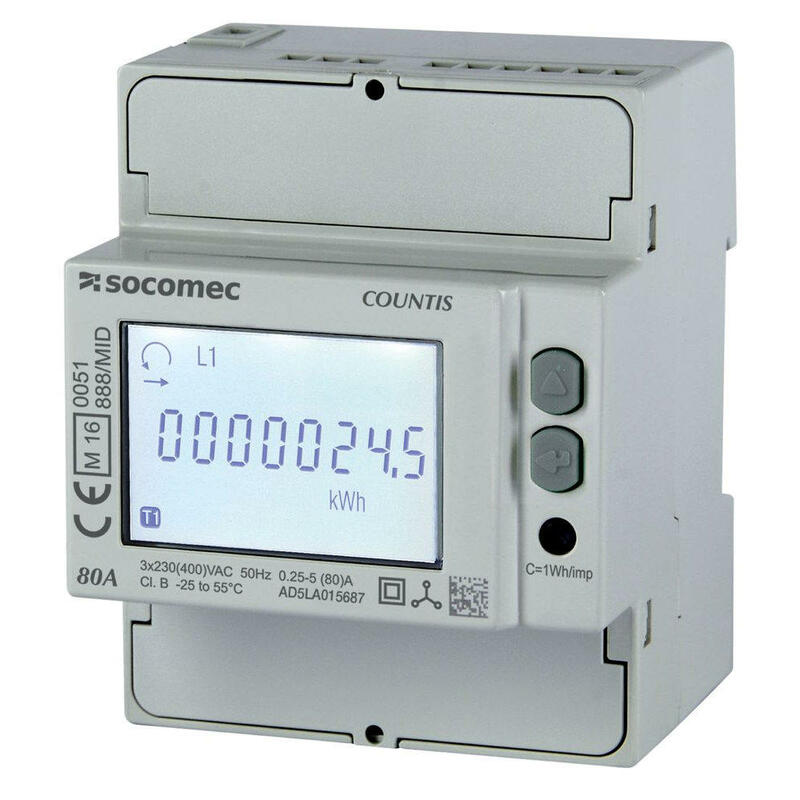 This meter provides a moderate level of detail and is very easy to navigate. 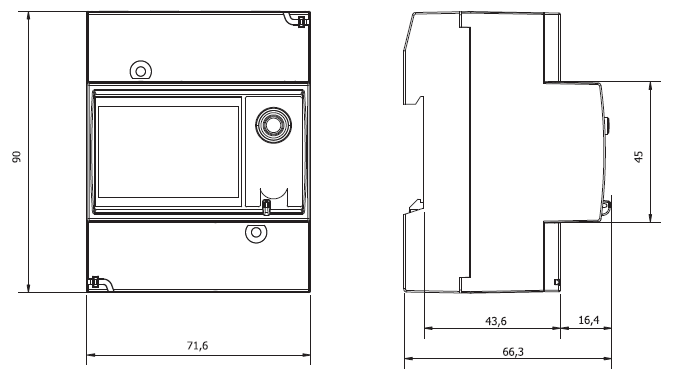 It is highly recommended for applications where non/semi-technical staff need to read the unit.